(twelve) February 2013. 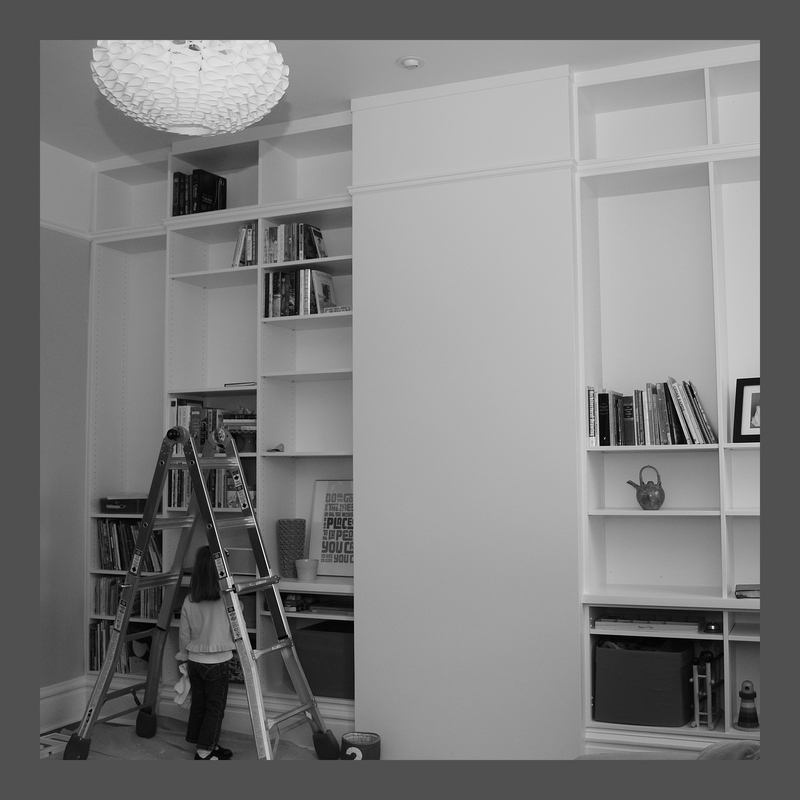 It was fun to stumble across this photo – I remember how exciting it was to start filling these book shelves. The cabinet doors were still drying, so those lower shelves towards the middle are acutally concealed. It’s funny to see the little kid toys in there – now they are full of games and puzzles. (And F is twice as tall.) We have the installation of the fireplace included in our addition project – I’m hoping we don’t hit any snags on it, and it works in our old house as we hope that it will. I could use a fireplace this week – it finally turned cold, and I’ve been up late at night working on holiday projects. I love our living room. I love that the first thing that you see in our house is a wall of books. I hope to install a library ladder in here one day. How helpful will that be for decorating the Christmas tree?! And for cleaning! Every January, when the tree comes back down, I take a weekend to clean the shelves from top to bottom – rearranging and sorting and weeding things out. We need to do that this year – our family is reading at a record pace right now. Our shelves overfloweth. What a comforting, symbol of home to me. What a gift.